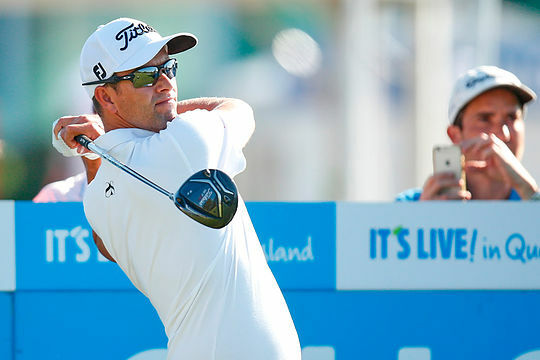 Adam Scott will double the number of Masters Champions in the field at the Australian PGA Championship when it tees off on the Gold Coast later this year. Scott today announced that he will play in his home town tournament alongside good mate Sergio Garcia when the event tees off at RACV Royal Pines Resort from 30 November – 3 December. “Competing in the Australian PGA Championship on the Gold Coast in front of a home crowd is always such a highlight for me,” said Scott. Scott and Garcia ensure the Australian PGA Championship will have its strongest field since moving to the Gold Coast. A strong supporter of Australian golf and in particular the Australian PGA Championship, Adam Scott is always a fan favourite on home soil. “Adam Scott is iconic to Australian sport, not just because of his Masters victory but because of his commitment to his Australian fans,” said Gavin Kirkman, CEO of the PGA of Australia. General admission to the Australian PGA Championship is $25 when purchased at the gate or via Ticketmaster with children, 16 and under, granted free admission when attending with a paying adult. Tickets to see Adam Scott and Sergio Garcia play in the Australian PGA Championship from 30 November to 3 December at RACV Royal Pines Resort are now on sale at Ticketmaster.